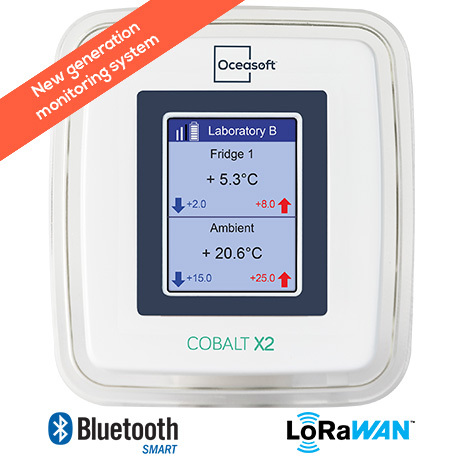 The latest OCEASOFT data logger, Cobalt X2, revolutionizes equipment monitoring for temperature and other physical parameters. How does Cobalt X2 work? 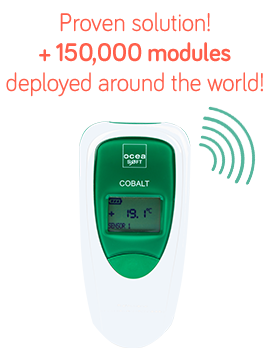 The Cobalt X2 solution was designed to make installation as fast and easy as possible. You generally only need one receiver to cover your whole site, even very large sites, thanks to the performance of LoRaWAN long-range wireless connectivity. 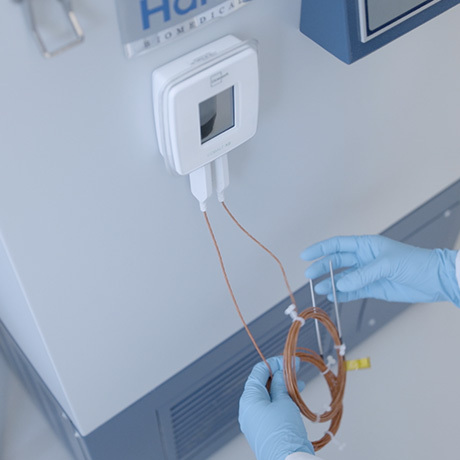 Simply place Cobalt X2 on one of the pieces of equipment you want to monitor, or set it up as a data collector for wireless sensors in your laboratory. 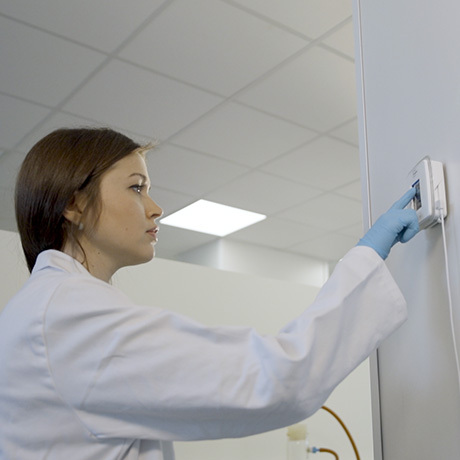 Plug in your Smart-Sensors or digital sensors, or pair your Bluetooth-enabled temperature data loggers, and place them as needed for monitoring. Wireless sensors send their data via Bluetooth to the Cobalt X2 module, which transfers data from all the sensors over the network to the Cloud or your server (contact us for details). 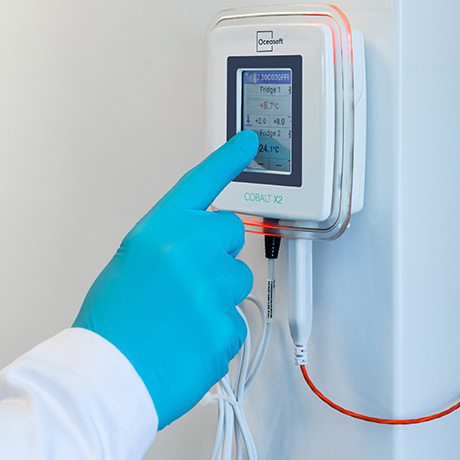 The Cobalt X2 touch-screen shows readings and also allows you to acknowledge alarms if necessary (requires a PIN code). 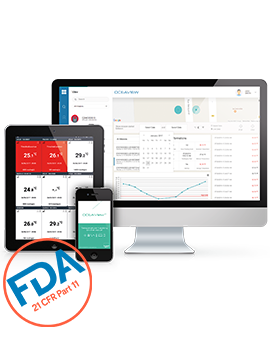 The OCEAView web application enables you to manage your entire system, equipment, users, and data. 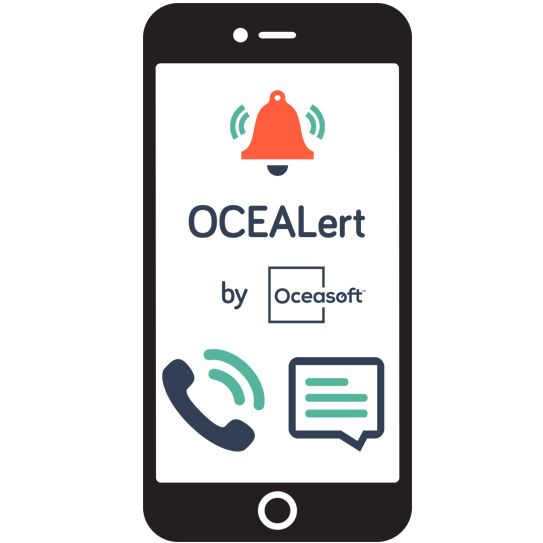 When excursions or other anomalies are detected, a highly visible color alert is displayed on the Cobalt X2 module, and you will also receive alerts 24/7 by e-mail or by SMS/text and/or voice message via the optional OCEAlert platform.